Titan America’s Pennsuco Complex has been certified as a Gold Level Zero Waste Facility by the US Zero Waste Business Council, according to a company press release, making it the only facility of its kind in the US to achieve zero-waste status. To qualify for Zero Waste Certification, the Pennsuco Complex was required to demonstrate more than 90% diversion from landfill for a minimum of 12 consecutive months. This includes recycling, reusing, reducing or composting waste materials or recovering the materials for productive use in nature of the economy at biological temperatures and pressures. The process for certification included an extensive onsite audit, which was performed by Zero Waste Council members. Pennsuco’s efforts to achieve zero-waste status was initiated by the complex’s environmental engineer, Audrey Fulton, who called the certification as “major achievement”. Recertification takes place every three years with Fulton and Dunlap both aiming for Platinum Certification next time around. 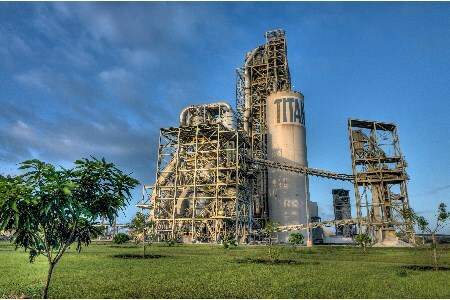 Located west of Miami, Florida, the Pennsuco Complex includes cement production, aggregates, quarrying, block manufacturing and ready-mix concrete operations. The cement plant has a production capacity of 2.4 million t, ranking it the largest cement plant in the state. Its quarry is the fifth largest such operation in the US, producing more than 7.5 million tpy of limestone products. Image courtesy of Titan America.